Approach to the target segment, organizational capacity. Know-how developed in Tourism and tourist ports, Real Estate and Finance. This division is the evolution of the company’s early marketing and communication experiences during the launch of East Coast Yacht Brokers developed around the specific expertise of partners and collaborators. From its pioneering beginnings with East Coast, ACY, Marina B, Anselmi Boretti, Marina di Pescara and Virgin Atlantic Challenger to all our current business clients, over time the acronym ECYB has become a symbol for our approach to the target segment, organizational capacity and close team workwith the Client to find optimal solutions by developing a collaboration which goes well beyond selling boats or boat moorings. 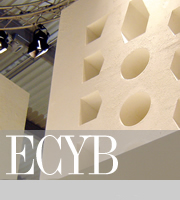 ECYB uses all East Coast’s know how also to apply to “contiguous” sectors, such as marinas, tourism, real estate and finance, with particular vocation for start-up activities, special projects and original experiences. There is no contradiction between these activities, in the daily experience these areas merge together, and although at times we have lively internal debates, well, this is simply a symptom of vitality. The attention we pay to Client objectives, to changes in their desires and to what in jargon we call the needs of the target group, is a key feature of all services for companies and for private clients, “Because the target group is certainly transversal, but in our case it is assimilated by many factors, there is no solution of continuity between those who opt for a serious boat, who invest in major and safe real estate funds or who believe in partnerships for integrated tourism systems… we are not talking of speculators in any of these cases, but of an attentive, advanced target group, whose capacity for expenditure is backed by knowledge and cultural foundations”. In short, in the nautical world, like in other sectors, services are growing and atECYB we know it, well aware that know how, professional approach, new ideas and technologies are the key to the future, duringgood and bad times.